INTRODUCTORY 0% APR on balance transfers and purchases for six months, and 10.99%–16.99% APR thereafter, when you open a VISA Platinum card with uChoose Rewards*. Apply with our safe and secure online application. We use security measures that are among the best in the e-commerce industry to ensure your information is safe. Protect yourself from fraud with real-time fraud detection, identity theft assistance, replacements for lost or stolen cards and zero liability** for fraudulent charges. Use the latest digital wallet payment methods like Visa Checkout, Apple Pay, Samsung Pay and Android Pay for easy and safe digital payments. Control your card with CardValet®, an app that lets you turn your card on/off, define spending limits by vendor type and limit where your card can be used. Earn uChoose Rewards points with every purchase. Redeem your points from a catalog of millions of items including concert tickets, cruises and even cash back. * Subject to credit approval. Interest rate after promotional period will be between 10.99%–16.99% APR based on your creditworthiness. 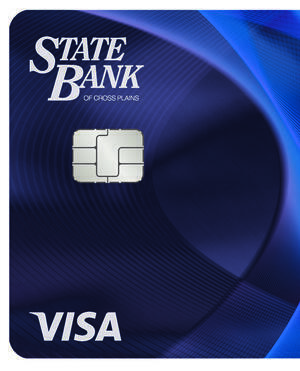 Transaction fees for this card may include: ATM fee–$2.50, Foreign transaction–1% of each transaction in US Dollars, Cash Advance–$10 or 3% of the amount of each advance, whichever is greater.